In this paper we define an explicit basis for the -web algebra , the generalization of Khovanov's arc algebra , using categorified -skew Howe duality. 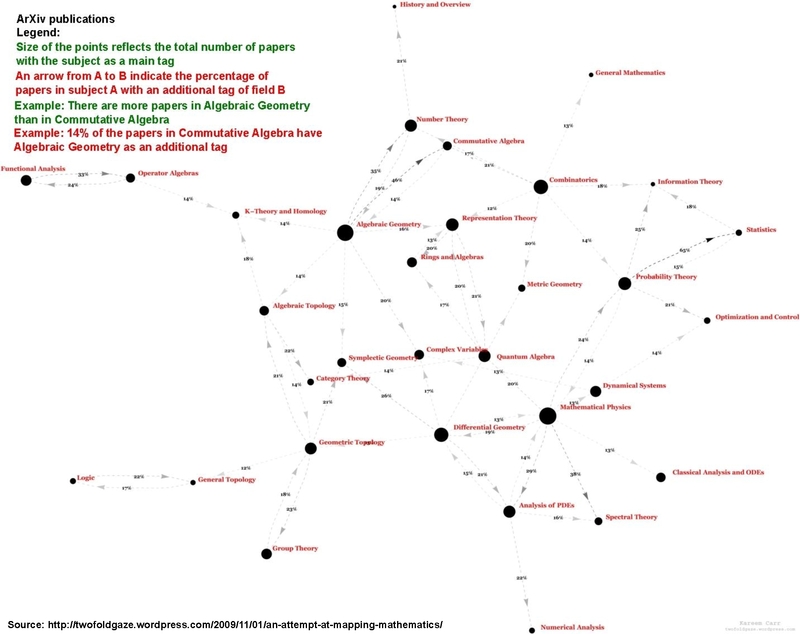 Our construction, which can be seen as a -web version of Hu and Mathas graded cellular basis for the cyclotomic KL-R algebras of type , has two major applications. The first is that it is a graded cellular basis. The second is that it can be explicitly computed for any -web which gives a basis of the corresponding -hom space between and . We use this fact to give a (in principle) computable version of Khovanov-Rozansky -link homology. The complex we define for this purpose can be realized in the KL-R setting and needs only 's and no 's. Moreover, we discuss some application of our construction on the uncategorified level related to dual canonical bases of the -web space and the MOY-calculus. Latter gives rise to a method to compute colored Reshetikhin-Turaev -link polynomials. The main observation is that the -web space is, under -skew Howe duality, the -weight module of weight in a certain -highest weight module. It turns out that every -web can be obtained by a string of only 's acting as elements of on a highest weight vector. Thus, we can say that the -web space is an instance of -highest weight theory. A closed -web is therefore nothing else than a quantum number since one jumps from the -dimensional highest weight space to the -dimensional lowest weight space using the 's of . 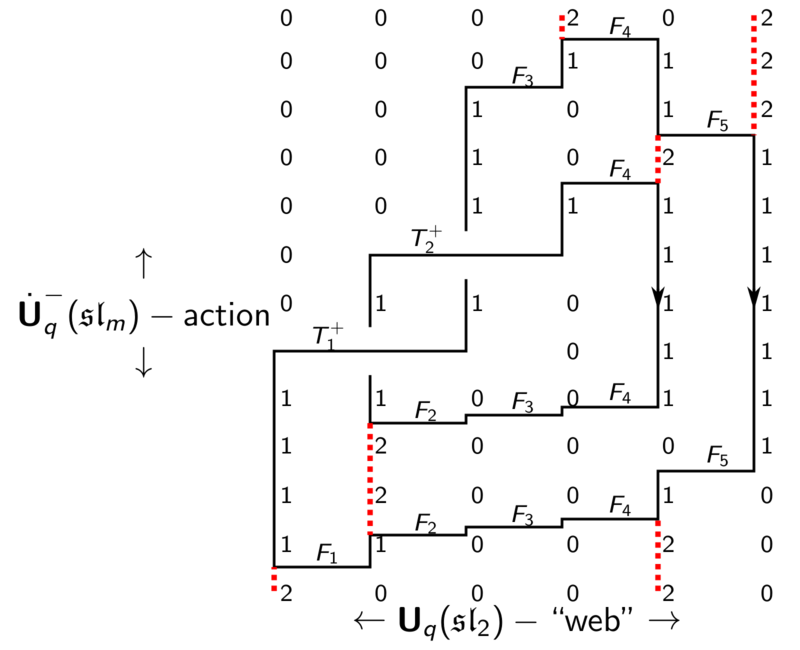 As a consequence: One can write each (colored) link as string of 's together with operators for crossings. As for example displayed below for the Hopf link (with restriction to ). Here we act with the 's from bottom to top and the -weight spaces can be read of from the number grid. The operators measure the difference how one can hop around from the highest to the lowest weight and we obtain the Reshetikhin-Turaev -link polynomials therefore as an instance of -highest weight theory. History repeats itself: The same is true for the -link homologies. We just replace the weight modules with weight categories, the 's with functors and the measurement of the difference with certain natural transformations. And since everything an the level of the -link polynomials takes place in a certain -module of highest weight we can obtain the Khovanov-Rozansky -link homologies by only using the cyclotomic KL-R algebra. Thus, these homologies are instances of categorified -highest weight theory.